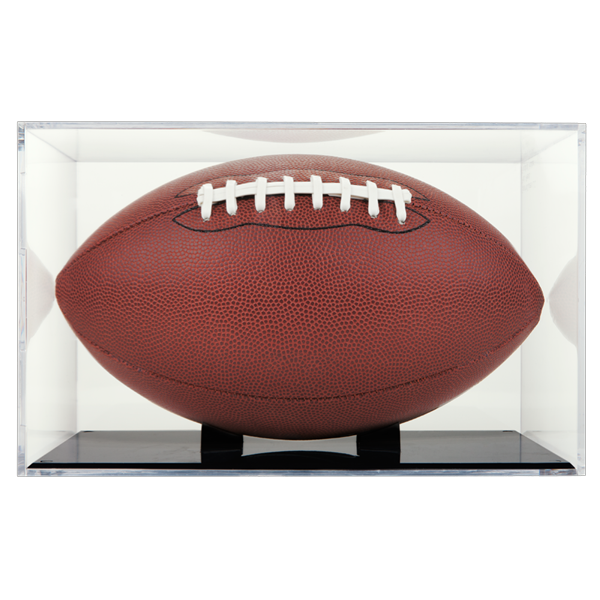 – and a handsome wood base football display case. 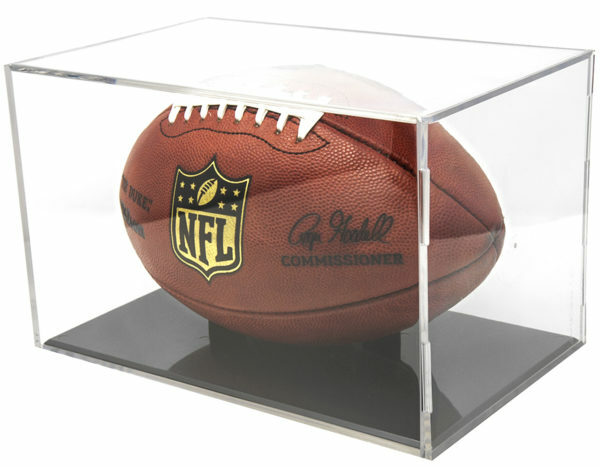 We also offer our basic, open air display case for footballs named The Stand. 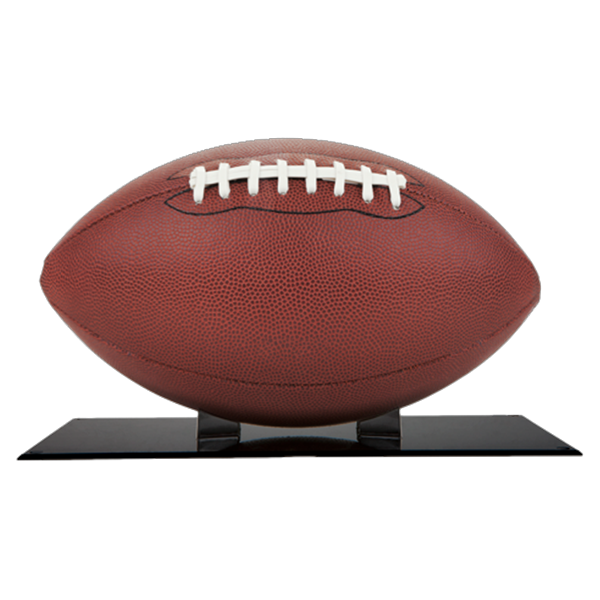 A mini football displays especially well on The Stand. 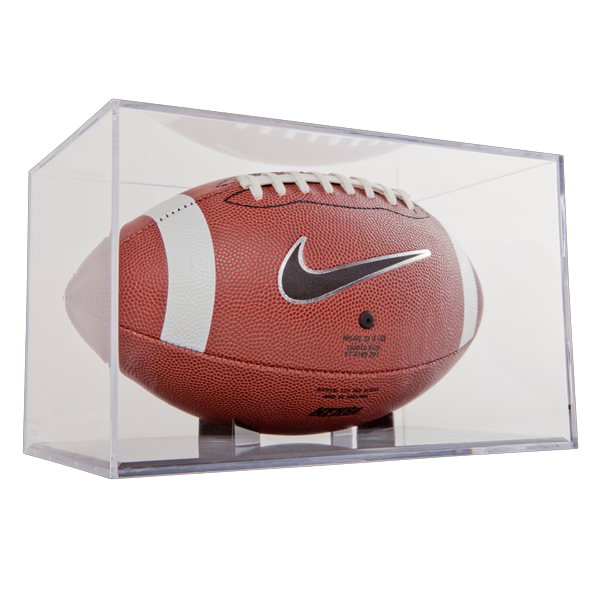 Full Size Helmet and Mini Helmet Display Cases. 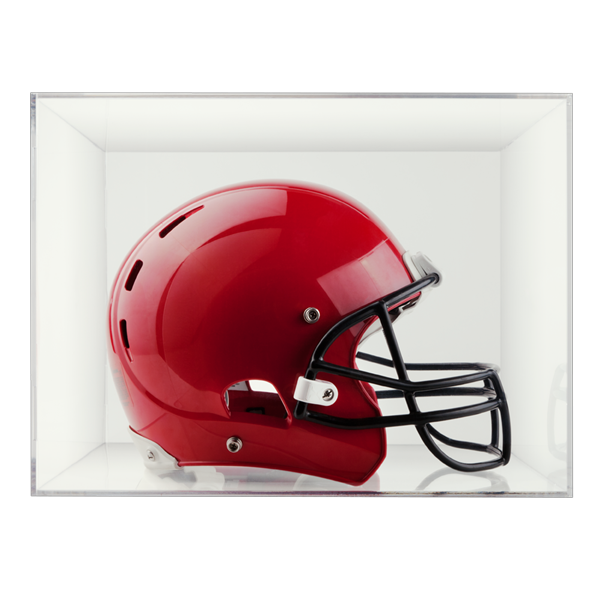 We offer full size helmet and mini helmet display cases with UV protection and without UV protection, in a mirrored back option and a wood base option. 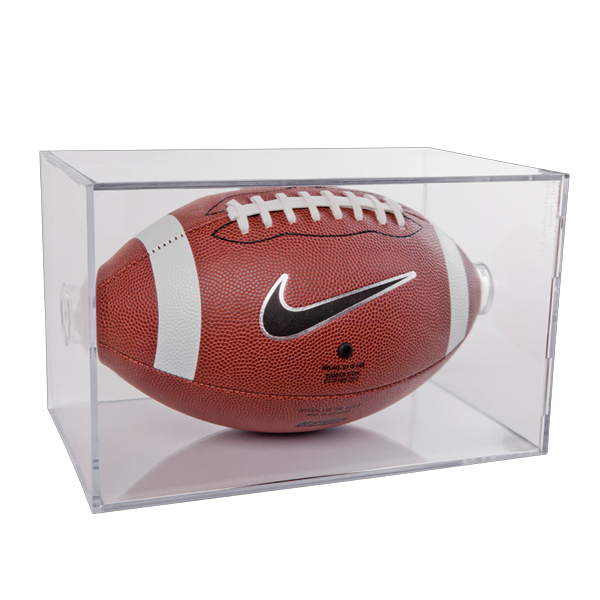 We offer football jersey frames in small, medium and large sizes. 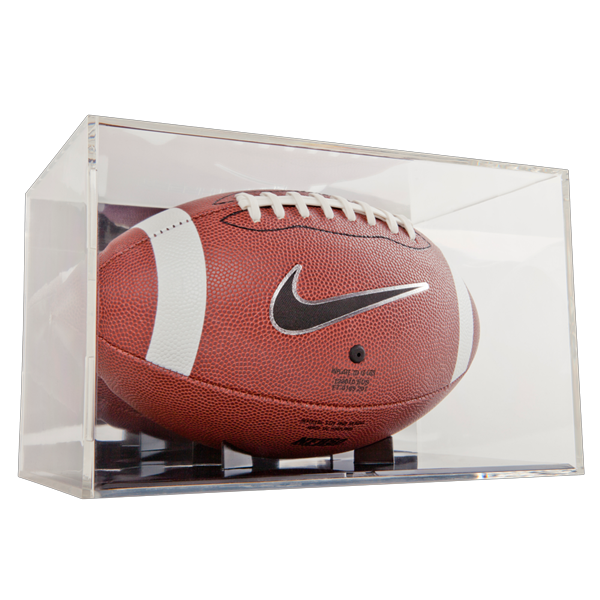 Choose our UV protected Grandstand Football Display cases in black or clear color ways to protect and display your autographed, limited edition and logo footballs from 98% of UV rays. 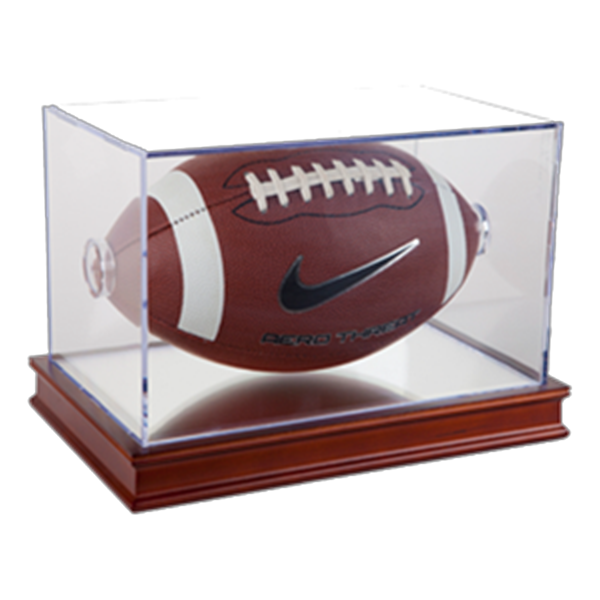 Notably, discover the BallQube difference in our quality and the compact nature of our display case design. Rectangular in shape and perfectly sized for the item in question, they allow for easy stacking and, thus, organization.